Roasting marshmallows with the kids. Enjoying an evening basking in the warmth of an outdoor fire. 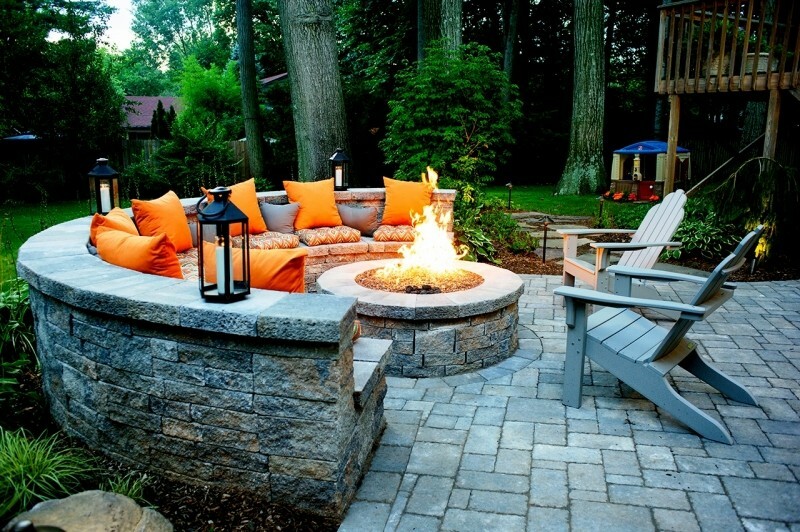 These are all things people enjoy, which is why outdoor fire pits have become so popular across backyards in America. 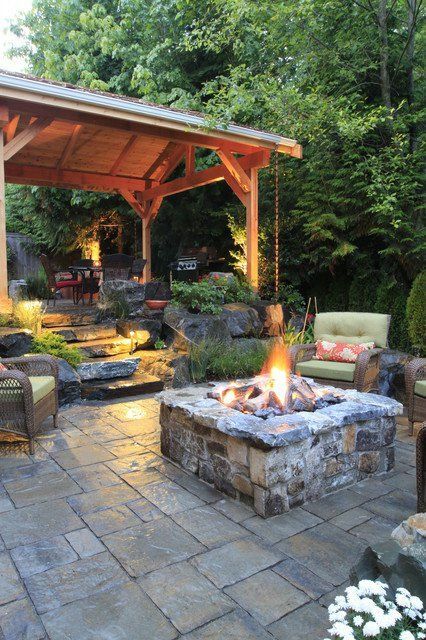 An outdoor fire pit can dramatically change your outdoor living space for the better. But what’s right for you? Let us guide you through what will be the best option for your backyard. Here are a few tips that will help you decide on the look and feel you want to achieve. 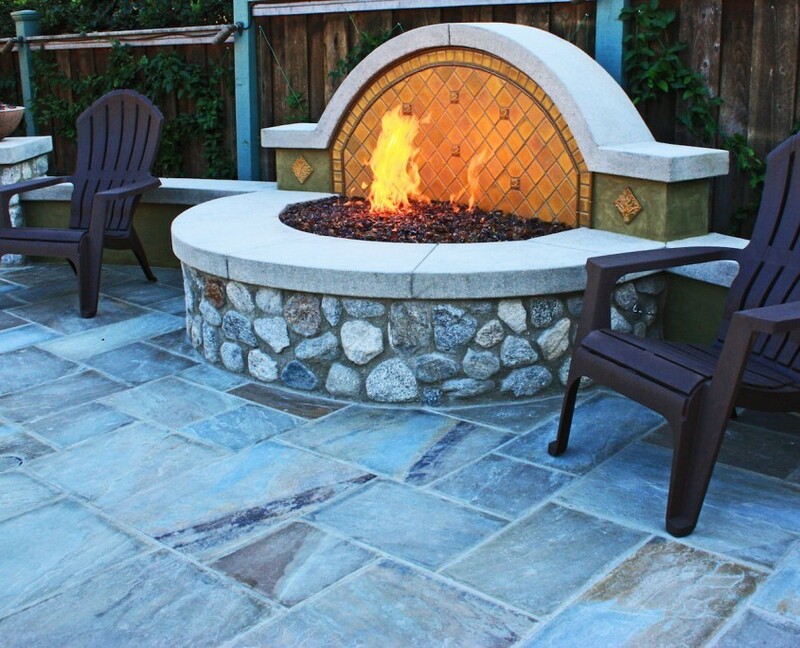 Materials - When it comes to choosing a fire pit, homeowners have several different materials they can choose from for their fire pit. Using a pre-fabricated unit from a concrete paver supplier such as Techno Bloc or Unilock is the more economical solution. These units use pre cast concrete units and are simple and easy to assemble. For a more sophisticated and natural look, using a modular concrete unit that is finished with a natural stone veneer and cape is the way to go. These units can be customized to fit your exact needs, space, and budget. Shape - From circular to square, rectangular to an octagon, the options you have for your fire pit have come a long way in recent years. 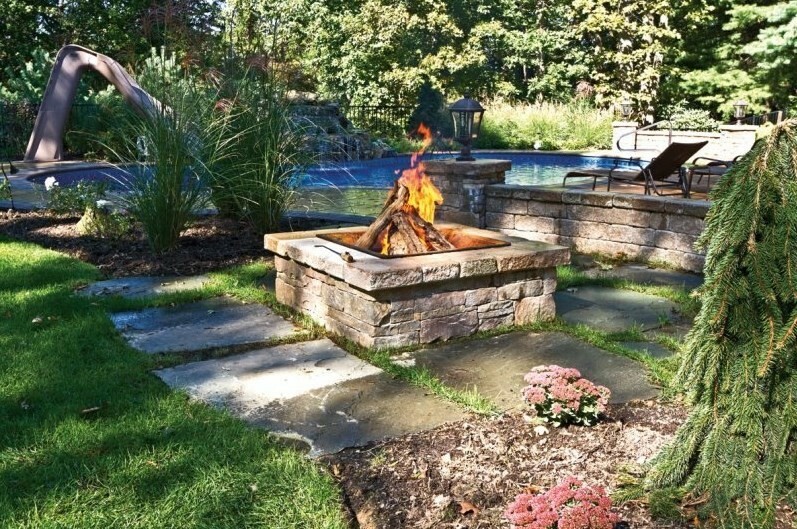 This allows us to design a fire pit that will accent and enhance your outdoor living space, whether you are starting from scratch or adding a fire pit to an existing space. Ease of Use – after a long day at work, it is nice to be able to start a fire by simply hitting a switch. Clean Up – there is none (except when marshmallow drips on the glass or lava rock)! They love burning wood! The sound, the smell, the warm feeling, and the price! Some gas pits can increase the price. In many parts of the country, natural gas may not be available, or too expensive to pipe to your fire feature. Some fire pits will run on a propane tank, but if there is nowhere to hide it, it might take away from the look you want. With proper planning and careful decision making, you can turn your backyard into the envy of the neighborhood with an outdoor fire fixture. From entertaining, to cooking, to a source of light long after the sun goes down, you can enjoy your investment year round with both family and friends.